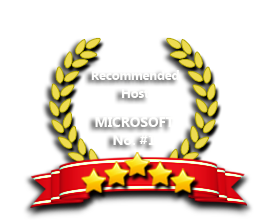 ASPHostPortal windows hosting is compatible with the Plesk 12 Hosting. We offer Plesk 12 based hosting plan from just $5/month (see our Windows Shared Hosting Plan). Plesk 12 Hosting from ASPHostPortal.com is an effective, flexible and secure control panel for webmasters to meet the broadest range of customer requirements. It is compatible with both Windows and Linux platform but has a better reputation in the Windows web hosting field. Plesk 12 Hosting makes account management complete for server administrators. Plesk 12 Hosting is a complete multi-level hosting control panel, offering the server administrators a wide range of options to build and maintain the hosting business and also giving the end users full control over their websites. Our Windows Cloud Hosting fully supports Plesk 12 hosting. You are more than welcome to try our Free Windows Cloud Hosting before you decide to buy. You can get your Free Cloud Windows hosting account up and running within the next few minutes.